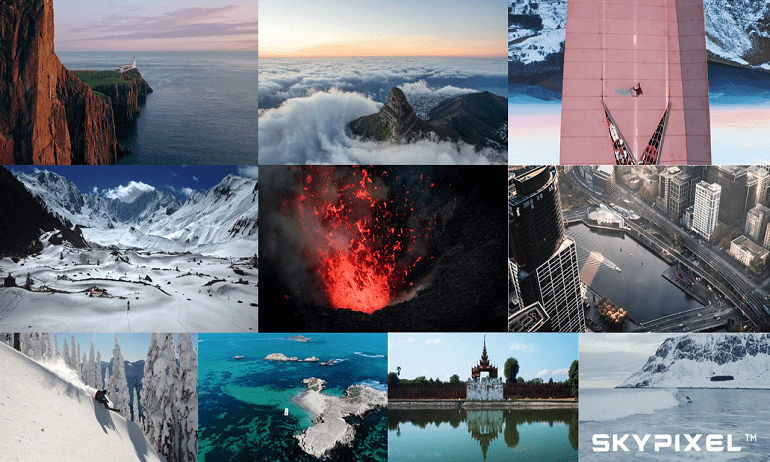 SkyPixel, the world’s most popular aerial photography community run in cooperation with DJI, on Friday announced the winners of the 2017 SkyPixel Video Contest. The contest received close to 3,000 submissions from participants in 100 countries, across the categories of Nature, City and Sport. The Grand Prize, selected from the winners of the three categories, went to xiaoxiao with the video ‘EPIC OF TANNA’. The video showcases some of the most breathtaking views of a volcano and beautiful sceneries in Tanna, an island in Vanuatu over the South Pacific Ocean. The Grand Prize winner will receive a DJI Inspire 2 Premium Combo, Nikon D750 Body + 24-70 mm VR 2.8 Lens, Suunto Spartan Ultra Copper Special Edition (HR) Watch, LaCie d2 Thunderbolt 3 Hard Drive, an Oakley Latch Prizm Sunglasses, and a Tourism Australia Travel Package. In addition to the Grand Prize, each category also consisted a First, Second and Third Prize. The First Prize from the Nature category goes to Vadim Sherbakov, whose work ‘Icarus’ captures the spectacular views from the rocky cliffs of Isle of Skye to the mighty Dolomites in Italy. In the City category, ‘The City of Cape Town’ by Luke Bell, takes us on a captivating aerial tour around town, across beaches and into the mountains. In the video ‘MMP3 - 2D RUN’, Marin Kafedjiiski films a parkour artist leaping across rooftops, bridges, rivers and in some of the most unexpected places. His stunning submission won over the judges in the Sport category. Separately, the top ten most liked videos were recognized for their amazing work with the People’s Choice Award and various prizes from DJI, LaCie, Suunto and Oakley products. The winning videos were selected by a judging panel consisting of professional photographers, filmmakers and creative directors, including Phil Pastuhov, Aerial Director of Photography whose credits include The Lord of the Rings Trilogy, Godzilla, and The Amazing Spider-Man 2; Filipe DeAndrade, 10-time Emmy winning Director of Photography; and Josh Raab, Multimedia Editor at TIME and professor at the International Center of Photography, to name a few. Winning photos can be used as part of media’s write up or story with credits to the video creator.